04/09/15 – Production has begun on the SR-6, SE-24, and AS-24v3. The steel blades for all three are being precision machined, after which they will be acid etched and lasered. Machining has also begun on the AS-24v3 parts. We are expecting all three tools to be ready in mid-July. 05/14/15 – AS-24v3 and SE-24 blades have all been machined and ground. The AS-24v3 levers are the first parts to make it to the anodizers; all other parts are still being machined. 05/29/15 – The AS-24v3 levers have arrived from anodizing and they look great. The SR-6s and SE-24s are currently being acid etched. We are expecting the SR-6s to be ready before Father’s Day, and we’re hoping the SE-24s will be, too. 06/04/15 – The SR-6s have arrived and have started shipping! You may have to wait a little longer if you ordered the SR-6 along with other tools that are currently in production, as they will all ship together. Some of the smaller AS-24v3 parts have been completed, and the head pieces are currently being machined. 06/12/15 – The SE-24s have arrived and will begin shipping next week. These, along with the SR-6s, will become available as soon as all pre-orders have been fulfilled. Keep them in mind if you are still looking for some great Father’s Day gifts. 07/13/15 – The AS-24v3 head pieces have been machined and are off to the anodizers. Once those are complete, the beams will be lasered and final assembly will begin. The cursors have also been machined and are at the anodizers as well. 07/30/15 – The heads are back from anodizing. Work will begin tomorrow attaching them to the beams, after which they will be sent to be lasered. The cursors also came back from the anodizers this week, and they were sent to the laser etchers this afternoon. 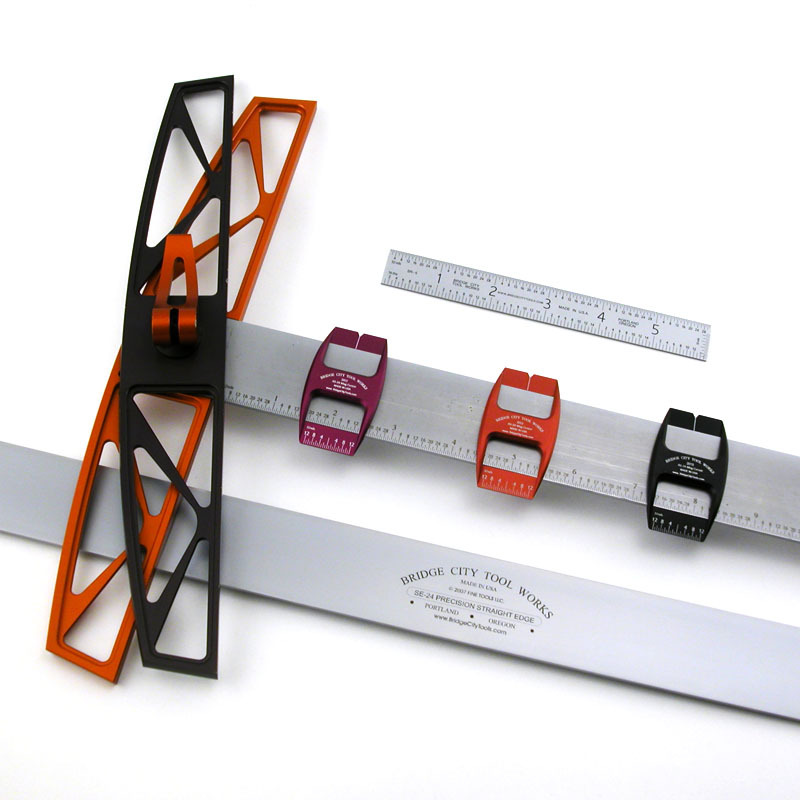 08/16/15 – The cursors and AS-24v3 sub-assemblies (the orange anodized heads attached to the beams) arrived from the laser etchers late Friday evening. Final assembly will begin tomorrow! 08/24/15 – Final assembly of the AS-24v3s is complete, and most of the pre-orders have been shipped. We expect all pre-orders will ship within the next two weeks. If you are not on the waitlist, or forgot to place your order, call or email to get on the waitlist before the remaining AS-24v3s and cursors are gone! 09/28/15 – Pre-orders have shipped. All remaining AS-24v3s are now available via the website, which will list them as In Stock while supplies last.